A website’s content is vital. It not only provides information but also helps to build the identity of any organisation, leaving a lasting impression on those who visit the site. It has an equal, if not greater, importance to the construction of any website as the design itself. Whilst conveying information in the most clear and concise way possible the content must also reflect a high level of professionalism which assists in building trust with future and potential clients or users. Further to this, content is an effective marketing tool; with the correct knowledge, content can become an assistant in ensuring that you are reaching those looking for the specific goods or services that you provide. 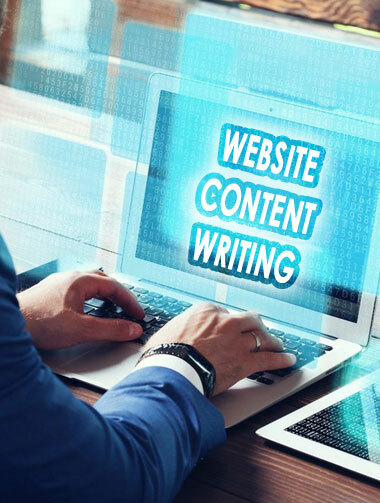 The content writing team at Manzeera Solutions have years of experience in a multitude of fields and understand the different priorities that arise across different sectors when it comes to writing content. We understand how to construct and refine the most appropriate and effective content for any organisation or business. In close conjunction with the client, we understand both the information that needs to be delivered and the identity of the organisation that needs to be reinforced and maintained. This enables us to create content that builds an increasingly positive impression of any company at the same time as utilising its ability to be used for marketing (SEO, SEM and ORM). Whether you are looking to give existing content some final finesse or need content writing from scratch contact us today to find out how we can help your business dreams become a reality.